MOUNTBLACK | Multipurpose PSD Template is a Multipurpose PSD theme suitable for any type of business. 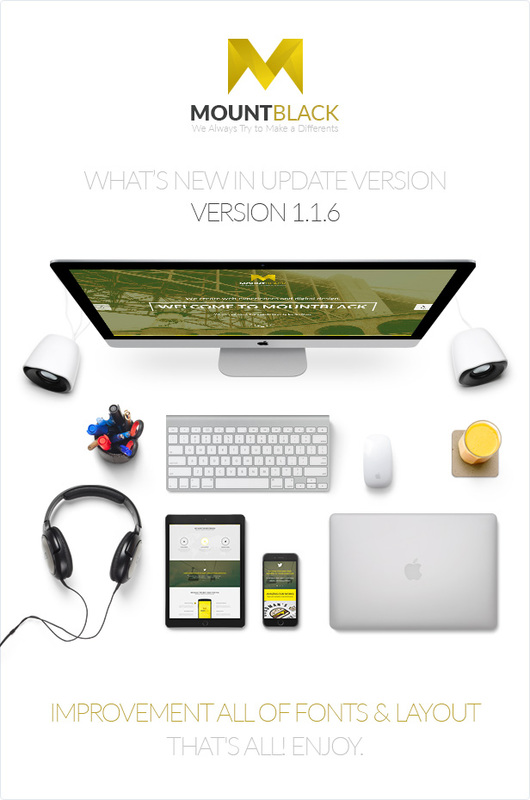 The download includes 56 well organized PSD files, Flat and clean design with fully editable organized layered. Based on 1170px / 320px Grid System. 56 well organized PSD files. 6 Elegant Homepage Style (Corporate, Blog/Magazine, Commerce, Onepage, Construction, Support). 8 Full Amazing Detail Shortcodes (Menu, Submenu, Search Box, Footer, Forms, Widgets, Typography, Features). 7 Amazing Phone Device Layouts. Easy to find the files name, folder, layers, goups. Responsive Bootstrap 3 Based layouts. Improved - All of Fonts Changed to Light Style. Improved - Corporate Home Style. Improved - Blog Home Style. Improved - Onepage Home Style. Improved - About us Page. Improved - Some of Pages. 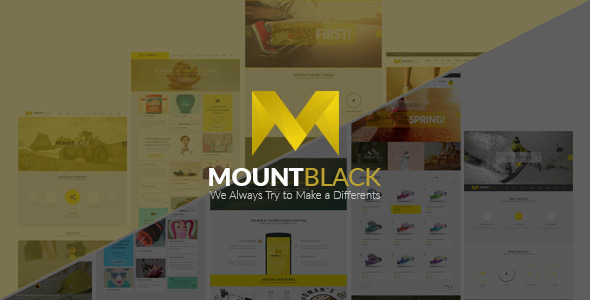 MOUNTBLACK Multipurpose PSD Template released.